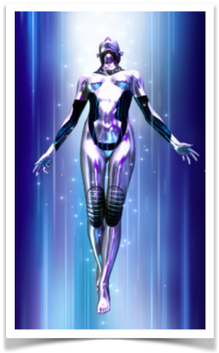 It is with love & light that we welcome you to this deeply transformational Ascended Pathway! Having completed Step 1 i.e. having now received either The Unified Pathway or Pathway To Light energies, we now invite you to move into the higher realms of consciousness and to a higher vibration of unconditional love, purity and one-ness. The Ascended Pathway will be following a similar format to the previous Ascension Pathways however here, you will officially be welcomed into The New Consciousness, hence the name Ascended Pathway. In this way, the previous Ascension Pathways have helped to lay the very important energetic foundations for this beautiful Ascended Pathway. ​ for very deep and immense purification and as part of this, you will therefore be guided towards healing yourself at a very deep and profound level. We sincerely hope that you will enjoy your Ascended journey with much love in your hearts and may this bring immeasurable benefit to the infinite all! one-ness. In this volume, you will be opening up to a beautiful set of divinely enriching energies which will help to bring much understanding, love & wisdom into your consciousness through an understanding of karmic merit. Being received over 4 main growth phases and a total period of 8 months, these wisdom filled energies will be guiding you towards letting go and releasing old habits / behaviours from your life as you open up to a new feeling of loving kindness through much accumulation of karmic merit. We truly hope that you will enjoy this beautiful series of energies and may these help to bring about a beautiful awakening in your consciousness for the infinite benefit of all beings! “Following on from the infinite depth of energies you have immersed yourself in Volume 2, you will now be continuing your ‘seeking’ journey of fulfilment higher. At this point in your evolution, with a solid foundational base, you are now able to be propelled. Upwards, higher and beyond the limitations of the human mind you will be asked to seek truth and an understanding of what that means in your earthly and etheric realms. In order to follow your own Divine Destiny you shall be awakened to many great truths in this phase of the Ascension Pathway." Having been welcomed into the vibration of the new consciousness through volume 4, the Blue Star Consciousness Awakening now propels your energetic vibration upwards, higher into the new consciousness vibration, as you experience this truly profound and divinely enriching energies over a period of around 2 months. These trancensional energies will also be helping you to reach a place of inner peace, unconditional love and unity as you are guided towards absorbing the Blue Star Consciousness energies throughout all of your major chakras. As part of this final volume of energies, the Guides stated that there will be an additional period of divine awakening here which is best served by some form of charitable or benevolent work. As we understand it, this altruistic work will help to enrich, empower and activate the new Blue Star Consciousness more fully into your being so that you can open up to an array of new realisations, love and inner truths in your life. Having completed the Blue Light Series, you have now been officially welcomed into the vibration of The New Love Consciousness and as such, you will now be able to receive energies from a new dimensional source. Looking forward now and there is still many more beautiful energies to be received here as we move towards 'The New Truth Consciousness' for the infinite benefit of all. During this next few years, you will find that there is much, much acceleration now in your vibrational uplift and this is because of all the work that has been done on your pathway to date. We hope you enjoy your journey into The New Truth Consciousness and may this help to bring infinite benefit to all! ​The Crimson Horizon energies present a very significant step forward on this Ascended Pathway as we are guided towards the vibration of 'The New Truth Consciousness' for the infinite benefit of all. This wonderful series of energies can be received over a period of around 16 months and during this time, you will be immersed in the vibration of The New Love Consciousness as you are led towards many new and profound understandings and inner truths for the benefit of all! The Crimson Horizon also offers us the chance to increase in energetic vibration more significantly than any of the previous volumes so far and this is now an indication and sign of your immense energetic progress and work done to date. We wish to congratulate you on making it to these truly profound and divinely enriching energies. May they help to bring much happiness, love and truth into your life and may you shine these outwards for all to benefit from! A Blue Beginning sees us formally entering into the vibration of 'The New Truth Consciousness' for the infinite benefit of all. And through these very profound Blue Beginning energies, you are invited to take a truly MASSIVE step onwards and upwards on this Ascended Pathway. For it is here that you will be guided towards 'The Higher Truth Consciousness' and into many new realisations, learnings and understandings in your life! Being received over a period of around 20 months, these beautiful Blue Beginning energies will be helping you to distinguish between truth and untruth in your life. As you clear away the many layers of untruth from within i.e. those relating to separation, you can then very naturally open up to the divine truth. And it is here, in a space of truth, that you can now gain a greater depth of understanding about what is your own inherently divine nature and to the one-ness and unity of all things. Having now stepped firmly, lovingly and peacefully into 'The New Truth Consciousness' and into The Higher Truth Consciousness through A Blue Beginning, The Orange Pentalight will now continue your plight as you continue to strengthen your 'Higher Truth Consciousness' foundations for the infinite benefit of all. These higher truth foundations will be helping to form the basis for all of the higher energies still to come in this series and it is with much love that we offer these to you here. Being received in around 12 months, The Orange Pentalight is a deeply rewarding set of energies that will also be helping you to experience the wondrous array of higher truth energies that are available here as part of the next steps forward into divine awakening (The Purple Priah) and into an enjoyment of karmic fruits (The Green Garden Of Light). For now though, we hope that you will enjoy receiving many new higher truths in your life and may these help to bring about many new understandings and realisations for the benefit of all beings! 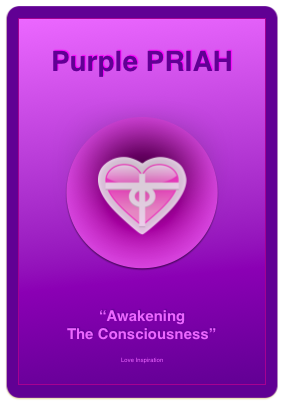 The Purple Priah is a truly blessed period of 'divine awakening' and has been made possible by all of your immense healing work, purification and dedication to your practice - congratulations! During the coming 10 months, you will be guided towards many soothing, rejuvenating and nourishing energies that will be helping you to find balance and alignment as you are prepared for the final 'awakening' during the later stages of the ebook. Enjoy! 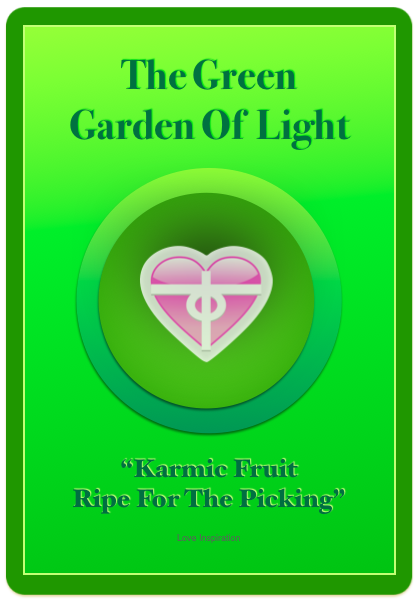 In many ways, The Purple Priah and The Green Garden Of Light (the next ebook) are very much like the 'cherry on top' from all the hard work that you have done up until this point. And as you will no doubt realise here in these Purple Priah energies, a higher realisation of truth, oneness and awakening will always help to bring us a deeper and more profound sense of peace, harmony and balance from within! We hope that you will enjoy your purple 'awakening' and may it help to bring many new realisations and great epiphanies into your life for the infinite benefit of all! Having now completed The Pentalight (building your higher truth foundations) and The Purple Priah (a period of divine awakening), these energies now merge together beautifully to guide you upwards once again into 'The Garden Of Light'. Here, you will be able to enjoy your karmic fruits from the past few years of deep healing and purification as you are also prepared energetically for the next step forwards into 'The Crystal Pathway' and 'The New Crystal Consciousness'. ​for the infinite benefit of all!